In October 2016, National Institute of Standards and Technology (NIST), USA, has organized the Speaker Recognition (SRE) evaluation, as the one of ongoing series of speaker recognition system evaluations conducted by NIST since 1996. The detailed plan for the evaluation is publicly available at NIST 2016 Speaker Recognition Evaluation Plan In general, NIST SRE evaluations have two objectives: (a) to support research and development in a domain of text-independent speaker recognition, and (b) to measure and calibrate the performance of speaker recognition systems. The evaluations are open for all researchers and are intended to be simple and focusing on a basic task of speaker detection, i.e. to determine whether a specified target speaker is speaking during a given segment of speech. Similar to previous evaluations, NIST SRE16 has focused on telephone speech recorded over a variety of handset types. 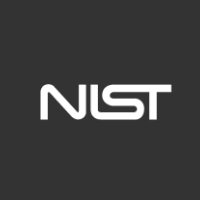 Speech group and biometric group of Idiap Research Institute, led by Prof. Hervé Bourlard and Dr Sebastien Marcel, have made one submission to the fixed condition of the NIST SRE16. The work was closely linked with SIIP project, i.e. a research project founded by European Commission, developing a break-through suspect identification solution to identify unknown speakers that are captured in lawfully intercepted calls (http://www.siip.eu). Under this project, the development of IDIAP's NIST SRE16 solution was coordinated by Dr. Srikanth Madikeri, entirely relying on Kaldi toolkit, exploiting two gender-dependent systems based on the state-of-the-art GMM and DNN i-vector speaker recognition frameworks. An open-source implementation is made available in GITHUB (https://github.com/idiap/kaldi-ivector). The Idiap team has achieved a solid performance and scored among best with a simple system in tough competition of 45 academic and industrial laboratories from all over the world (NIST rules prohibit to disclose the exact position of their system). The description of Idiap system will be soon available at the Idiap publications site.